Last week Synergis Applications Consultant, Kevin Spear delivered a webcast on Stormwater Pipe Design Using Storm and Sanitary Analysis. If you missed it, you can view it now. Below, Kevin addressed some common questions. Q: How do you recommend getting the results on a plan in tabular format depending on the jurisdiction we are doing work in? Create a pipe network table that updates based on changes to the network. That table can be formatted to your needs and shown on the plans. 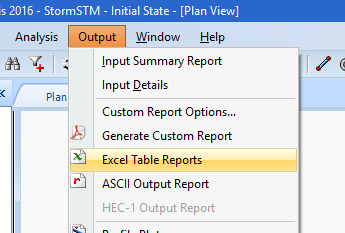 Create a report, with 2 options; either use the reporting tool on the toolbox tab or use the excel output option in SSA. Q: Where is the pipe invert data in SSA? A: That is located on the conveyance links properties dialog box under the physical properties group. Q: Are you able to have Civil 3D calculate your coefficient based on coverage or do you have to already have that calculated? A: Civil 3D does not have a way to calculate the runoff coefficient. The catchment’s only have a single field to enter the value. SSA does have a way to calculate the value. Within the subbasin properties, we have a Runoff Coefficient tab that will do the math based on your input. Q: If you have multiple networks would you do a separate catchment group for each network? A: Each catchment group is generally intended to group similar hydrologic conditions; pre-developed and post-developed for instance. But, you could group them based on a specific network. Q: What happened to the rest of the pipe network you showed in SSA? A: The entire Storm1 network was brought back into Civil 3D. I may have not been zoomed far enough out for you to see it though. Q: Once you import the structures and to export once again [does] it remember all the data you entered for each structure? Ie. Inlet data for road cross slope, gutter, etc. A: All of the Civil 3D structure physical data is maintained on the transfer back and forth. I will confirm what analysis data is maintained in a later blog post. Q: How come when I re-import the file to Civil 3D the network is not at the right location? A: I believe this type of error is caused by User Coordinate Systems. Civil 3D always wants to work in the World Coordinate System. If a custom UCS has been setup to speed through annotation, reset the UCS to WORLD during export and import. Q: If you re-export, do you need to re-enter/customize the inlets in SSA? A: If we are referring to the inlet type, then that is a matter of knowing which parts in SSA and Civil 3D you want to use and set the migration defaults accordingly. If you are referring to the inlet data, I am confirming that and will post the details in the Synergis blog. Q: Is there a way to model underground detention facilities and their structures? A: We can model them hydraulically in SSA and Hydraflow. 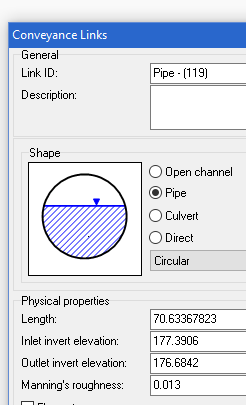 However, there is not a realistic way to round trip that data to a Civil 3D pipe network. Q: Can SSA or Civil 3D calculate runoff using separate impervious/pervious covers? A: As it relates to pipe design, we can only do a composite ground cover to the inlet. If you’re thinking about BMP design, you can route the hydrographs in any fashion you choose in SSA. However, we did not discuss hydrology options in SSA or Hydraflow today. Q: Are the added catchment areas [in SSA] add in Civil 3D when imported back in? A: While the added sub-basins in SSA do not create catchments in Civil 3D, the data is maintained with the exception of the runoff coefficient. The area is held as well as the C and Tc are pushed to catchments in Civil 3D. For those inlets without a catchment, the information is stored in Civil 3D and transferred back into SSA. I will confirm in a blog post in the future. Stay tuned for his next Q&A.